Sometimes there is nothing you could have done. You were sitting in your car. The radio was blaring as you waited for the light to turn green. Next thing you know you wake up in a hospital bed with an IV in your arm. While the above is more of a worst-case scenario, we all understand that bad things often happen to good people. Not everyone is a good driver and every time you are behind the wheel, you are taking a risk. However, you shouldn’t have to pay the price for someone else’s bad driving. If you’re in a car accident, the first thing that you need to do is seek medical attention for any of the injuries that you may have sustained in the accident. Next you need to contact a qualified attorney to represent you. It is important to contact your attorney before speaking with any insurance company, this will help ensure that you receive the compensation that you are entitled to. You need someone who will fight for you before the insurance companies take advantage of you. At the time of your accident, call the police and file an accident report. The police should be able to determine which driver was at fault for the accident. They will provide important information that can be used on your case. It is important to keep a pen, paper, and a camera in your car so that you can take pictures and exchange insurance information. It is also important to get the names and numbers of any nearby witnesses. As the injured party in a car accident, you have the burden of proving that the other party was negligent. That is why it is so important to gather all of this information and to choose the right attorney. At Paulus Law Firm, we will examine the evidence and prepare the case to help you receive compensation for medical bills, pain, and suffering, as well as other costs associated with your car accident. See also: Details about trucking accident attorney. That’s it. Two words. 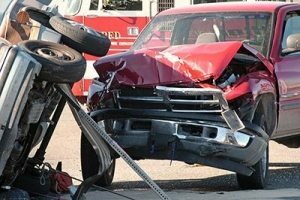 If you have been in a car accident, you need to hire a car accident lawyer to handle dealings with an insurance company. Insurance companies are not your friends. They are not attempting to help you when you file a claim. They are trying to pay as little out of pocket as possible. This means they will lowball you with insufficient offers. This means they will deny claims that they should be accepting. This means they will not pay for any mental anguish, pain, or suffering you endured. You don’t have to fight insurance companies. Hire a car accident lawyer to fight your battle with the insurance company for you. When you hire a car accident lawyer after a crash, you are paying him or her for their expertise. An experienced car accident lawyer will know all the laws that pertain to your accident and injury. Your lawyer will be able to apply the laws that help your case while ignoring others. As well, an experienced personal injury lawyer will see other settlement avenues that you may not have known about. These avenues will give you flexibility in pursuing your settlement. This can be of extra importance when dealing with an uninsured driver. If an insurance company refuses to treat you fairly, you may end up in court attempting to sue. This situation often arises when medical expenses begin to add up. An experienced car accident lawyer will be able to represent you in court. By having a lawyer in court, you will ensure insurance companies take your case seriously. Often insurance companies will refuse to pay any extra in terms of pain, suffering, and mental anguish. However, you may be entitled to pain and suffering payments after a car crash. This depends on the severity of the accident. In severe car accidents, you may be entitled to a large amount of money due to your pain and suffering. An experienced car accident lawyer will make sure you get every penny that you are due. If you are in need of a car accident lawyer in Kansas City, we hope you’ll contact us. Here at Paulus Law Firm, we strive to be the best car accident and personal injury lawyers in Kansas City. If you are dealing with any issue involving a car accident, please reach out today. If you have been involved in an accident, please contact Paulus Law Firm at (816) 237-8502 for a free consultation.